In our business of audio series this year, we’re exploring how publishers can monetise their audio content, whether it be longform podcasts, news briefs for smart speakers, or something in between. Often this conversation on audio for news has been dominated by podcasts however, with the revenue model for smart speakers ignored. Inspired by a question asked by Renée Kaplan of the Financial Times at the International Journalism Festival, we’re digging deeper into smart speakers and how publishers should be utilising this platform. Join us all year as we dig deeper into the business of audio, subscribe for updates and send us your questions. We all know smart speakers have been growing in popularity, especially in English-speaking countries. 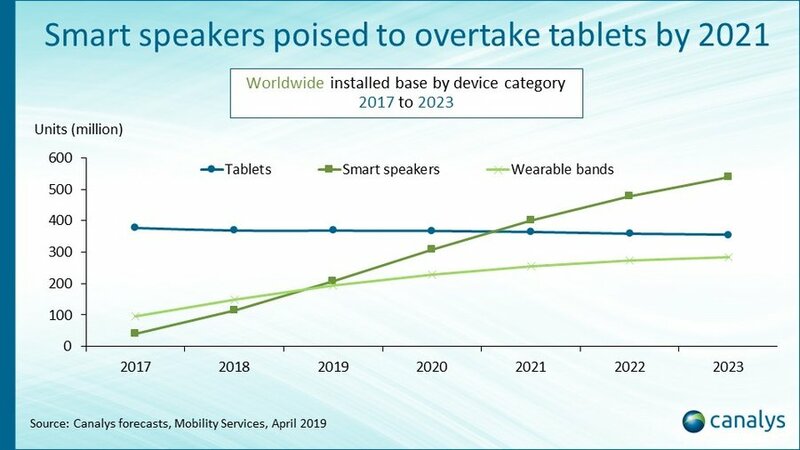 But just this week it was announced that smart speakers are expected to overtake tablet usage by 2021. When we look for successful example cases to learn from, we can see even the most established players are still experimenting. For example, even though “The Daily” has been widely successful in its podcast form, The New York Times realised they had to switch away from having it as the first option on smart speakers, moving to a shorter news briefing instead. We even see publishers experimenting with push notifications in audio form, such as The Washington Post which alerts listeners when there is a new story available on Amazon Echo. Quartz is also a good example of offering more than just one news briefing per day, using two reporting bots (“Brian” and “Kendra”) that automatically read the first five stories on its mobile app. Ultimately smart speakers are still a territory to be explored for publishers, as we still have limited data available, especially from non-english speaking markets. Join us as we continue the exploration all year in our “Business of Audio” series. This entry was posted in Industry news and tagged audio, Business of Audio, subscriptions. Bookmark the permalink.